10 Life Rules To Live By! 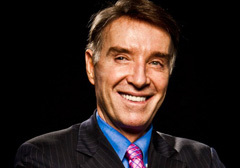 Brazilian billionaire Eike Batista has earned his place as the 8th richest man in the world. He is a self-made billionaire who made his money by concentrating on the gold market. By the time he was 23 years old, he cashed in $6 Million dollars. Pretty impressive to say the least! You grow as a person when you face your own challenges, or stressful moments, as I like to say. A good entrepreneur must be prepared to evolve in adversity. The good seller is the one who is also a good listener. Believe in yourself. If you doubt in yourself, you won’t be able to face your co-workers, or the market, for that matter. Don’t quit on the first adversity. Believe in your intuition, but try to be down to earth as well, paying attention to research and polls. To have a dream is one step closer to achieving something in life. The difference between the dreamer and the maker, though, is that the latter actually makes it happen. Look forward; focus on what people don’t see at first sight. Look at a business in all its depth and think of every detail with maximum accuracy and minimum risk. Luck is important, as it is part of any project. But luck will only be present when the project is well designed.